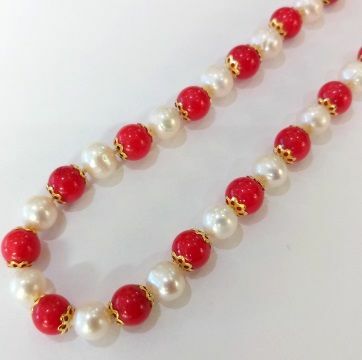 Sparkling white, lustrous pearls and bright red coral - a perfect combination. 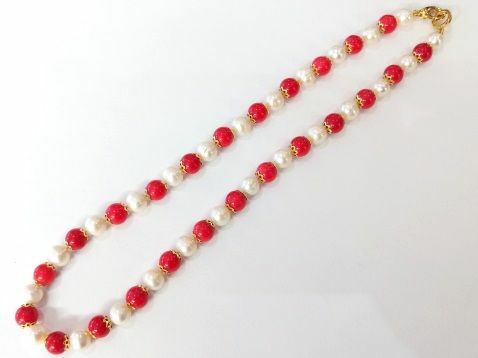 The pearls and coral beads are medium-size 7 - 8mm and separated by small golden rosettes. 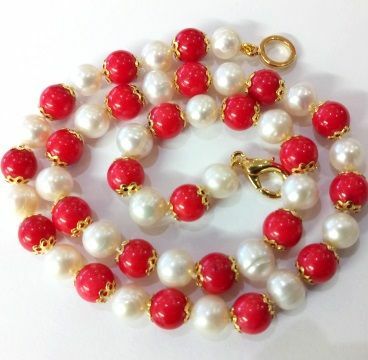 Each element is carefully selected and hand-knotted in the traditional way. The standard length is 18 inches, but please let us know if you need it to be shorter or longer. 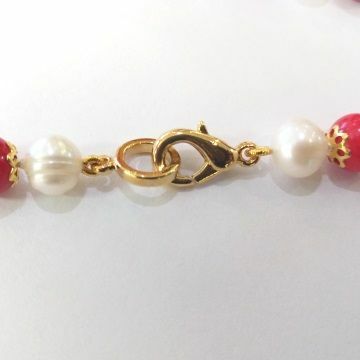 The simple claw clasp is one of our own - perfectly strong and reliable and heavily plated in real 22 carat gold. Your necklace comes in a handsome gift box or a pretty and practical silky draw-string pouch. Please choose from the options offered.